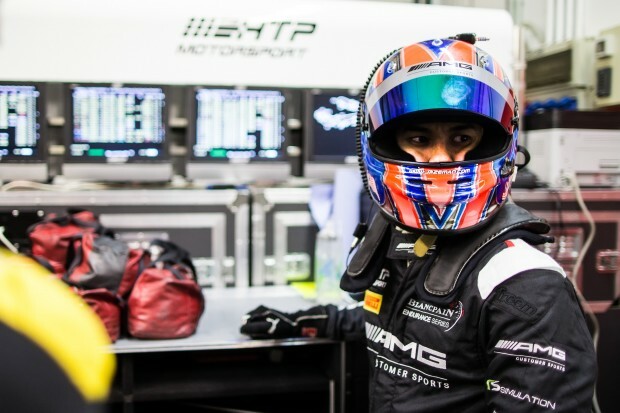 Hot on the heels of Jazeman Jaafar’s first race in the Blancpain Sprint Series last weekend, the young Malaysian racing driver is travelling to Italy this week to make his debut in the Blancpain Endurance Series. The first round of this prestigious European sportscar series takes place at the famed Monza race circuit near Milan, with an impressive gird of 57 GT3 cars lining up for the three hour race. Jazeman will be driving one of the HTP Motorsport’s Mercedes-AMG GT3 cars, sharing the No.84 car with German driver, Maxi Buhk and Austrian, Dominik Baumann. “It’s great to have such a large grid for the opening round, “adds Jazeman, “although that also means a very busy track in the practice and qualifying sessions. Monza is a fairly long track and quite wide, but I’m sure it’s going to be very important to get clear track and avoid the traffic to get the best lap times and that will be critical for qualifying”. The grid features 11 different manufacturers, all the top performance brands including Ferrari, Audi, Lamborghini, McLaren, BMW, Nissan and Mercedes-AMG. Jazeman says, “It’s a real feast of performance cars in this series and they are all very competitive, so there’s no front runners, it’s a very level playing field, so it’ll be very exciting”. Blancpain GT Series action at the Autodromo di Monza starts on Saturday 23 April at 9am, with the Bronze test, Free Practice and Pre-Qualifying Sessions scheduled for later that day. Qualifying starts at 9am on Sunday morning before the three-hour race gets underway at 3pm. The Blancpain Endurance Series race weekend coverage is available online at www.blancpain-gt-series.com with the qualifying and main race streamed live, along with live timing. A one-hour highlights show can be viewed on Eurosport Asia, see broadcasters listing for times. The Official App for the Blancpain GT Series, both Sprint and Endurance Series, can be downloaded at the Apple Store for iOS phones and Google Play for Android phones.